Scholars researching California’s twentieth-century legacy of eugenic sterilization, led by University of Michigan professor and Center for Genetics and Society Advisory Board member Alexandra Minna Stern, are urging state legislators to consider reparations for survivors of this abusive chapter in California’s history. An estimated 20,000 people underwent compulsory sterilization in state institutions from 1909, when California passed its eugenics law, well into the 1950s. According to the study published in the American Journal of Public Health, based on painstaking analysis of historical records, the research team estimates that as many as 831 people sterilized under that law are alive today. “The remaining survivors of California’s eugenic sterilization program deserve further societal acknowledgement and redress,” the researchers wrote. And the researchers emphasize that “time is of the essence”: According to their estimates, the average age of the survivors is 87.9 years. Their efforts aren’t being ignored. The findings have drawn media attention from high-profile outlets including The Atlantic, the New York Times, NPR Weekend Edition, Scientific American, and the Los Angeles Times. Much of the coverage highlights the call for California officials to make serious efforts to identify the survivors and consider offering them monetary compensation. Such reparations programs have been established with bipartisan support in North Carolina and Virginia, which had similar eugenic sterilization programs. 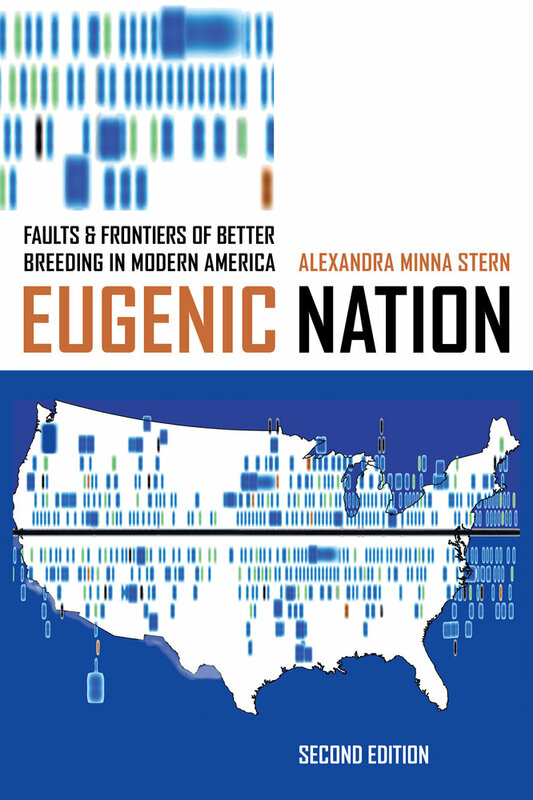 Stern’s research on eugenics has spanned more than a decade. In 2005, she published Eugenic Nation: Faults and Frontiers of Better Breeding in Modern America examining eugenics in the American West. She has continued her work by investigating the race, gender, class, and disability status of California’s sterilization victims; documenting the disproportionate number of patients with Spanish surnames who were sterilized; and focusing on stories of efforts by families and patients themselves to challenge sterilization procedures. Stern has also worked to bring public awareness to the stories and meanings of eugenics in California. She helped CGS and other organizations plan a 2012 symposium at UC Berkeley Law, Eugenics in California: A Legacy of the Past?, and at San Francisco State University’s Future Past: Disability, Eugenics, and Brave New Worlds event in 2013, and spoke at both. Stern has also participated in several of CGS’s Talking Biopolitics conversations. In 2013, she and journalist Corey Johnson discussed an episode of sterilization abuse in California women’s prisons between 2006 and 2010 that Johnson had revealed while working with the Center for Investigative Reporting. She joined medical historian Nathaniel Comfort in 2015 to talk about the implications of the quest for “human perfection” in an age of rapidly advancing genetic technologies. And last year, Stern interviewed the producers and director of No Más Bebés, a documentary about immigrant women in Los Angeles who sued county doctors, the state of California, and the US government after they were coerced into sterilizations while giving birth during the 1960s and 70s. The hundreds of eugenic sterilization survivors in California alone make plain the echoes of America’s eugenic past that still reverberate in the present. Coming to terms with this legacy will serve not just the individuals subjected to eugenic sterilization, but all of us who must confront its continuities today.